The BevMo! app will make your shopping much easier! Browse and shop online, find your nearest store, get special notifications on discounts and fun events, link your account and view your personalized available offers and purchase history. CLUBBEV! 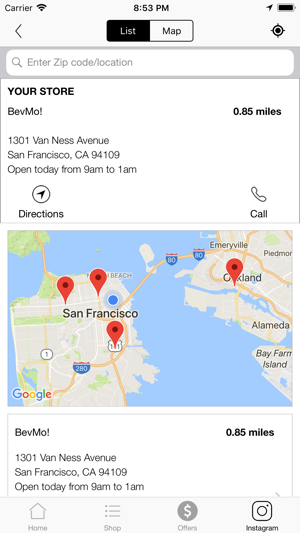 CARD: Link your ClubBev! 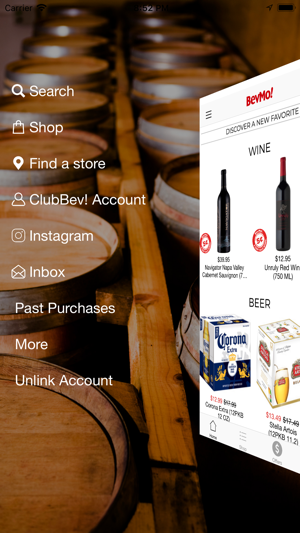 card number to the app, then simply scan the barcode at the register to get the discounted ClubBev! pricing on your purchase. OFFERS: 1st time app downloaders get $10 off your 1st purchase of $50 or more! (coupon available in the Offers section once you add your ClubBev! 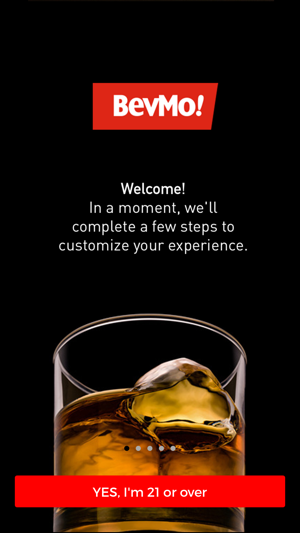 card to the app). Plus, view all of your personalized available offers. BROWSE AND SHOP: Shop best-selling items by category, or search for your product by name or by using our new bar code scanner feature. CURATED PRODUCT PICKS: Not sure what type of wine suits you best? What kind of whiskey drinker are you? 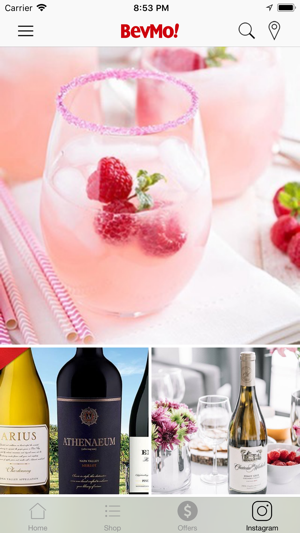 Take our wine and spirits quizzes to pinpoint product recommendations based on your taste profile. FAVORITES: Loved a previous purchase but can’t remember what the name of it was? View your favorite items previously purchased, then easily add them to your cart to re-purchase them. 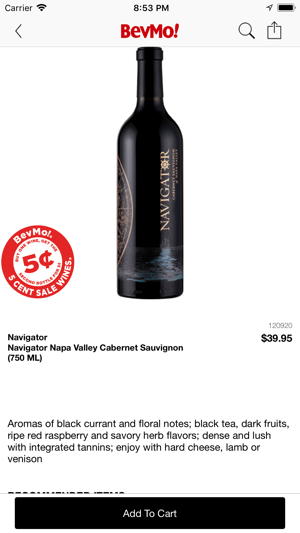 BE THE FIRST: See what's trending on BevMo! 's Pinterest & Instagram pages. 5 stars. User should be able to save items in cart for later purchase though, it takes time to find them and if you don’t want to buy them right away there’s no place to store them. This app is unstable. It’s difficult to get around Pandora it erases the contents of the cart regularly. Adding an item to the cart is clunky. It is impossible to check out. The ad for the app says you can enter your purchases and pick it up in one hour. You can’t even get your purchases into the Ap in one hour. It’s time to start shopping at my local supermarket. © 2018 Beverages & More, Inc.